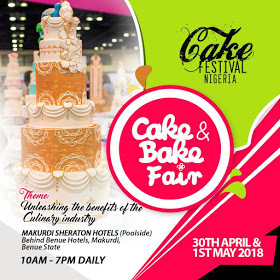 It is with great pleasure on behalf of the CAKE FESTIVAL NIGERIA team I request your esteemed presence to this year’s Cake Festival Nigeria 2018. 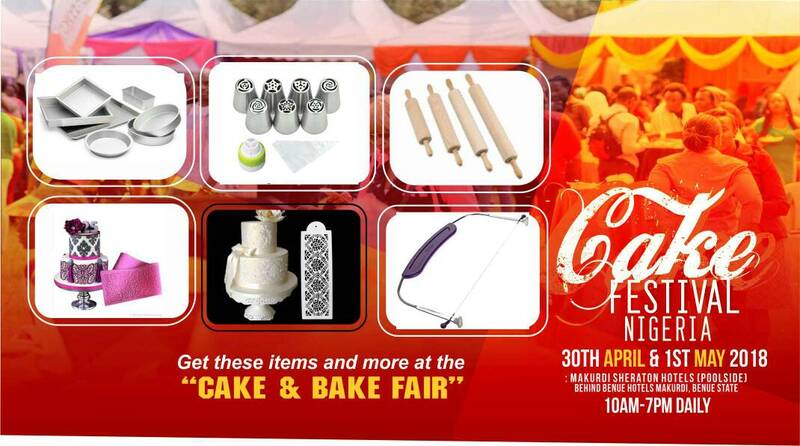 The Cake Festival is the biggest Cake show in the city of Makurdi and the biggest ever in Nigeria. The event features budding bakers as well as professional bakers within and outside the city of Makurdi. The theme of this year’s Cake Festival is “Unleashing the benefits of the Culinary industry”, and it's a CAKE AND BAKE FAIR. We are taking out this year to bring lovers of cakes and pastries closer to the market place where the bakers, chefs or company will sell their products to existing and prospective customers and also make new contacts. 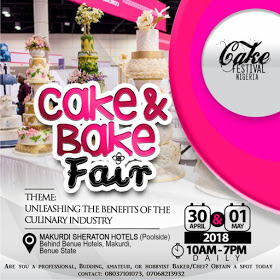 Every interested baker or chef will be required to obtain a space, ( a stand) from the organisers to showcase and display their products for sale. The event will be well attended by chefs and lovers of pastries. At such, you will be expected to sell all kinds of cakes, pastries, baking books and/or tools as you will have the capacity, but at an affordable rate to attract patronage. This epoch event promises to be entertaining, educative and exhilarating as variety of cake presentations and performance acts in music, rap, comedy and dance by renowned artistes have been packaged to make the day colourful and memorable. Also, there will be sections for children to play various games and bounce on a castle to have a feel of the fair and the carnival. 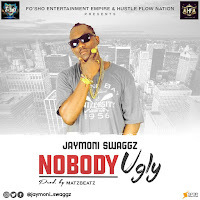 Venue: Makurdi SHERATON Hotel (Pool Side), behind Benue Hotels, Makurdi. Thank you for your anticipated response. Do accept the assurance of our highest regards. Get more information about our events from www.cakefestivalnigeria.com or "Cake Festival Nigeria" on facebook or google "Cake Festival Nigeria" for information.